This page gives information on policing for Kingsland and who to contact plus information on Horse Watch and Parish Watch. Our parish is a relatively trouble-free area, and we all want to keep it this way. However, there is a keen interest in what is happening in the area and this section of our web tries to keep everyone informed. West Mercia Police has a single number – 0300 333 3000 – for all general enquiries and non-emergency calls. Reporting of non-emergency incidents should, whenever possible, be made using this single dial number. Calls are answered by our trained operators who will direct your call to the appropriate person or department for a response. All staff will maintain a positive ‘can do’ attitude at all times. Should you be unlucky and suffer from crime – see the Victimcare issued by the local police. You may obtain a “Neighbourhood Watch” window sticker from your coordinator (you should have been informed who your “coordinator” is by now (December 2009). And we now have our very own sticker (on the right — is that Peter on it ?). Smartwater is available from your Safer Neighbourhood team (link in Policing section above) or by phoning 0300 333 3000 – asking for the Hereford Public Service Desk who will be pleased to give or send you details. 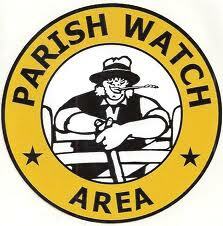 A Neighbourhood Watch member is an important part of Neighbourhood Watch. You are the eyes and ears for your area, passing information either to your co-ordinator or direct to the police. If you have information regarding any suspicious occurrences, or persons unknown to you loitering or acting “strangely”, please let one of the scheme’s coordinators know as soon as possible or phone Hereford Police on 08547 444888. Note down the registration numbers of any vehicles involved. This information is very helpful as it is part of the bigger picture. With your help we can put the jigsaw of crime together. Each piece of information you pass either direct to the police or via a co-ordinator could be the missing piece of the puzzle. That is why the police need to know what you know. You are the best people to understand your area, you are the ones who will know who is usually around, who is away, who is having windows cleaned, work done to their property, whose car is missing, which tradesmen usually come to your street, and so on. You are the people who will notice things that are out of the ordinary in your area.